Bitola is a city in the southwestern part of the Republic of Macedonia. Kick off your visit on the 3rd (Wed): explore the ancient world of Heraclea Lyncestis, stroll the grounds of Memorial d'Orient, and then contemplate the long history of Clock Tower. On your second day here, explore the wealth of natural beauty at National Park Pelister. To see other places to visit, reviews, traveler tips, and more tourist information, use the Bitola trip planner . 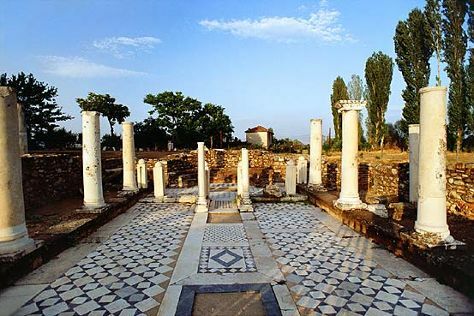 Sofia, Bulgaria to Bitola is an approximately 5-hour car ride. You can also do a combination of bus and train; or take a bus. The time zone difference when traveling from Sofia to Bitola is minus 1 hour. In April in Bitola, expect temperatures between 19°C during the day and 6°C at night. Finish up your sightseeing early on the 4th (Thu) so you can go by car to Ohrid. Start off your visit on the 5th (Fri): take in the spiritual surroundings of Halveti Hayati Tekke, pause for some serene contemplation at Saint Nikola Gerakomija, shop like a local with Atelier Marta Pejoska, then get a taste of the local shopping with Atelier Aini, then see the interesting displays at National Workshop For Handmade Paper, and finally glide through the air with a parasailing or paragliding tour. On your second day here, don't miss a visit to River Drim, contemplate the long history of Early Christian Basilica, take in the architecture and atmosphere at Church of Our Lady Perivlepta, then view the masterpieces at Icon Gallery-Ohrid, then contemplate in the serene atmosphere at Saint Climent of Ohrid, and finally take an in-depth tour of Memorial House of Hristo Uzunov. To see where to stay, other places to visit, ratings, and more tourist information, go to the Ohrid travel planning website . Getting from Bitola to Ohrid by car takes about 1.5 hours. Other options: take a bus. In April, daytime highs in Ohrid are 19°C, while nighttime lows are 6°C. Wrap up your sightseeing on the 6th (Sat) to allow time to drive to Mavrovo. Kick off your visit on the 7th (Sun): identify plant and animal life at Mavrovo National Park. On the 8th (Mon), you'll have a packed day of sightseeing: take in the spiritual surroundings of Monastery St. Jovan Bigorski, then contemplate in the serene atmosphere at Xhamia E Larme, and then explore the activities along Mavrovo Lake. To find photos, ratings, other places to visit, and other tourist information, you can read our Mavrovo itinerary planner . Drive from Ohrid to Mavrovo in 2 hours. Alternatively, you can do a combination of bus and taxi. 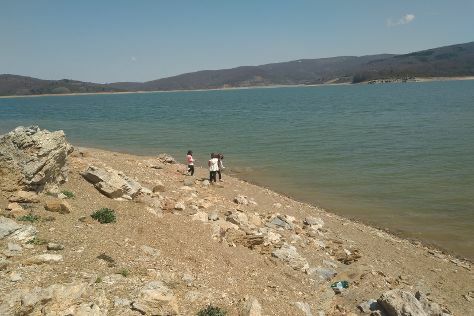 In April in Mavrovo, expect temperatures between 19°C during the day and 6°C at night. Wrap up your sightseeing on the 8th (Mon) early enough to drive to Skopje. 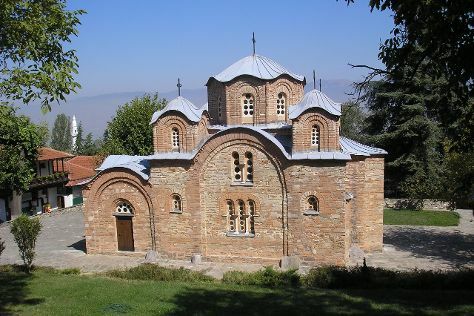 On the 9th (Tue), delve into the distant past at Daut Pasha Hamam, take in the architecture and atmosphere at Church of the Ascension of Jesus, then pause for some serene contemplation at Church of St. Panteleimon, then test your problem-solving skills at popular escape rooms, and finally take in the spiritual surroundings of Mustafa Pasha Mosque. To find ratings, reviews, where to stay, and tourist information, read our Skopje visit planning website . Drive from Mavrovo to Skopje in 1.5 hours. Alternatively, you can do a combination of taxi and bus; or do a combination of taxi and train. In April, daytime highs in Skopje are 22°C, while nighttime lows are 6°C. Wrap up your sightseeing on the 9th (Tue) to allow time to drive back home.